The following story was beautifully written by our very own talented Posada staff member, Clare Deck. One of the first interactions I had with Elbia was while she was doing a video call with two of her kids. She is from Concepción Chiquirichapa, Guatemala, where her daughter, 12, and two sons, 9 and 4, live. During the video call, I was introduced to Elbia’s daughter, who was wearing a beautifully colored woven shirt. 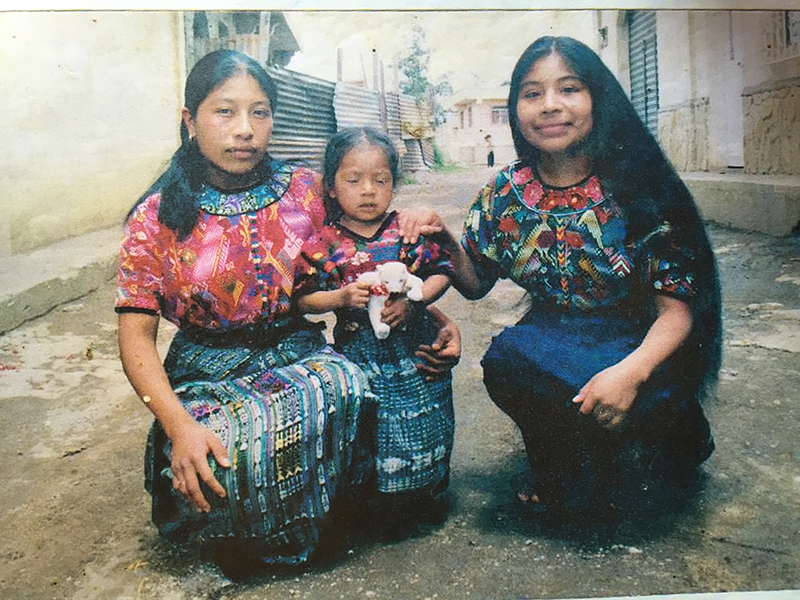 I later learned that the shirt was an example of the kinds of traditional Guatemalan textiles she grew up making. 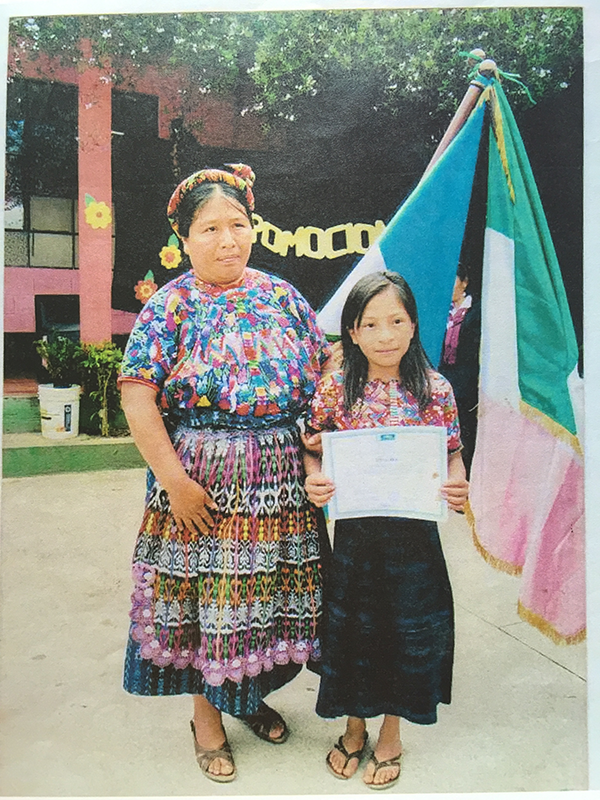 Elbia’s mother taught her from a young age how to weave these colored textiles and then make them into shirts, skirts, and even bracelets. Elbia particularly loved creating these multicolored works of art, especially the bracelets, to which she would add words or names and give as gifts. Elbia traveled to the United States in 2015, and was held in detention for over a year. 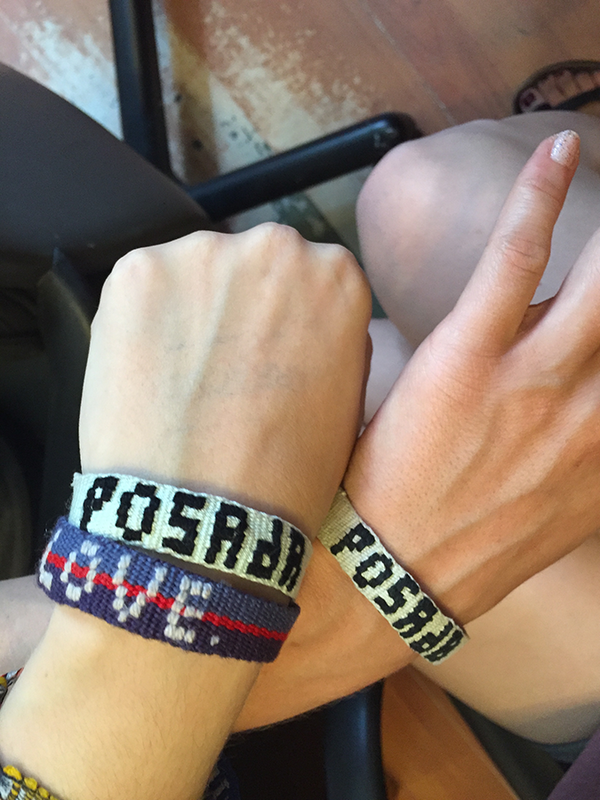 While she was in detention, she spent her time making the same bracelets she had loved making during her life in Guatemala. A volunteer group who came to the detention center brought her the materials for making the bracelets and even awarded Elbia a certificate for teaching their group and other people in detention how to crochet. During that year, in order to get legal help with her case and to get herself out of detention quicker, she took out a loan back in Guatemala in order to pay a large sum of money to someone who claimed to be a lawyer here in the U.S. Unfortunately, the person who she paid did not give her legal help, and did nothing to aid her case, yet he took all of the money Elbia had paid, leaving her family with a loan to pay off that had an interest rate of 5% a month. 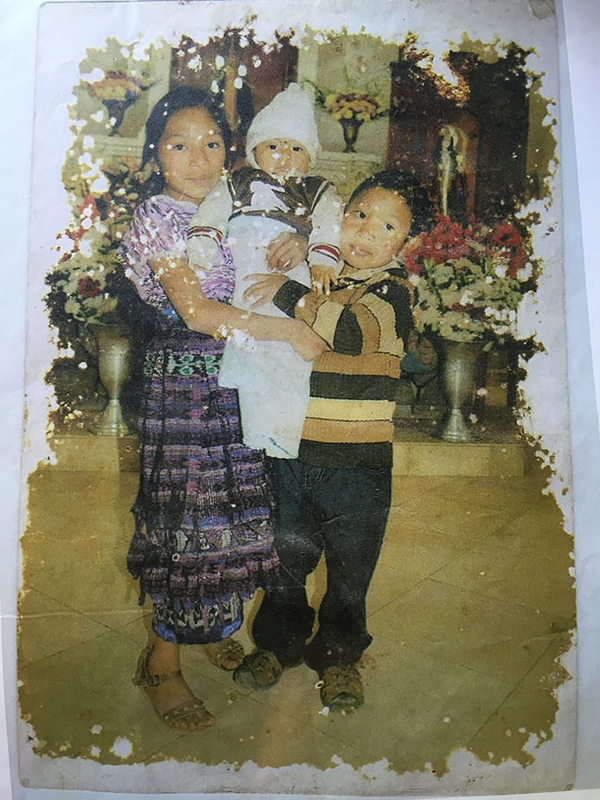 Elbia came to Posada Esperanza directly from detention, and is now in the process of seeking asylum. She works long hours washing dishes downtown to earn money to pay off her loan, but between attempting to pay off a rapidly increasing debt and sending money to support her family back in Guatemala, she is left without money to be able to fully support herself here in the U.S. With the interest quickly accumulating and increasing the amount of money she owes, Elbia is concerned about what the future holds for her and her family back in Guatemala. Despite her difficult situation, Elbia consistently lights up Posada’s community through her wide smile, bright laugh, and hardworking spirit. We often take the same bus from Posada, as she heads to work and I head home, and her comfort in striking up a conversation with me about my own time in Guatemala, and how we’re both faring in Austin–a new city for us both–easily make my day. Her native language is Mam, a Mayan language, and so we both laugh at our struggles with speaking Spanish and trying to remember when to use the formal form of “you.” Elbia’s commitment to working hard and spreading joy through her smiles and lovingly crafted bracelets is apparent to everyone at Posada. She inspires me everyday to bring joy and light to everyone I encounter. If you would like to support Elbia during this difficult time for her, or perhaps even buy one of her personalized bracelets, email posadaesperanza@yahoo.com. Is it possible that Elbia might find work with David Stuart, who is the Director of The Mesoamerica Center at UT? A native speaker of Mam could be EXTREMELY helpful to students and staff who are currently using a Mayan dictionary and visual syllabary. There are many people there who know a bit of Quiche, but nobody that I’m aware of is a native speaker!